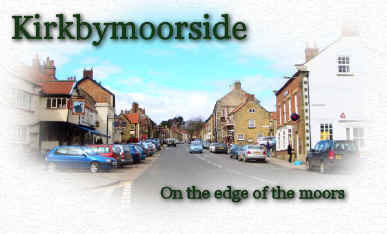 Kirkbymoorside or Kirbymoorside as it is sometimes spelled is midway between Helmsley and Pickering. There is some dispute as to the correct spelling but it is usually spelled with the 'k'. The name translates to settlement from the Viking word, 'by', and Kirk means church' so it means settlement with a church. The church still stands in it's modern form half way down the main street. It has some Saxon and Norman fragments in it's masonry. Through the years, two castles have stood in the town and small fragments of one can be seen to this day on the north edge of the town. Stones from one castle were used to build the Toll House in the centre of the market place. Many good pubs and restaurants can be found in the town and good sprinkling of local shops with the customary good service and courteous treatment of their customers. The Memorial Hall is to be found in the main street and holds many local social and official functions. One of the most famous residents was the 2nd Duke of Buckingham who had an interesting life, culminating in a mysterious death in Bob Gardiner's bedroom in Buckingham House, Kirkbymoorside. The band room was built in 1976 on land kindly donated by James Holt who lives in Kirby. It is a purpose built building and is used for all band activities including practice which is two or three times a week. The band room is situated in Manor vale at the top of the village. The first recorded reference to Kirkbymoorside Band was in the parish records of 1815. It has been a public subscription band from that time and in 1976 became a registered charity [Reg charity number 505458]. In 1815 £22.18s.00p was spent on instruments including a Serpent.  This must make kirkby band one of the oldest bands in the country. The minutes book has been found recently from 1890, so more is known of the last 100 years than the first 80. The bands first contest win was the Kirkbymoorside poultry and industrial show contest of 1886. They won playing 'Norma' and 'William Tell'. At that time the band was a 'temperance band', don't worry it's no such thing now, and it cost the equivalent of £50.00 per year to join. In 1965 the band took 3rd place playing in the 4th section at the National Finals, and repeated the area win in 1971 when promotion to the 3rd section followed. In 1980 the band was promoted to the 2nd section and won the Northern Area Contest by a clear 5 points. 1n 1981 the band went to London and were promoted to the Championship Section all in the same year . 1984 and 1986 saw the band win the Inter Counties Radio Brass Band Contest and were proclaimed outright champions. In 1989 the band was back in the 2nd section but following their success they were back in the championship section in 1991. The band has always been a subscription band and rely on the generosity of the public for support. If you would like to help by donating a gift of money to the band. Please bear in mind that as a charity the band can benifit from Gift Aid provision. Click Here for a Form. In recent years the band has found it's fortunes switching between the 1st and Championship Sections. 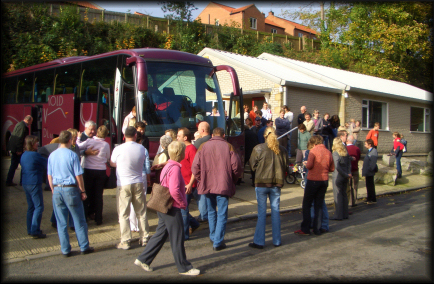 In 2008 the band came 3rd in the National Championships of Great Britain (First Section) held at Harrogate when John Woodward led the band's performance of "The Sage of Haaken The Good"
From a prestige booking in April 1982 to play in the North Sea Ferries Terminal Building in Europort, Rotterdam came a request to host a German Band for a weekend early in 1983. This led to numerous friendships springing up between the two communities and a return visit to Germany by the Band in the October if the same year. Apart from the numerous private visits - both ways - the Himmighausen Blaskapelle visited Kirkbymoorside for a week in the summer of 1986 and the Band made a further visit in the summer of 1989 - the host Bandmaster writing a special piece for the occasion which intertwined 'On Ilkley Moor B'aht 'At' with the 'Lipper Detmold' a comparable local dirty. We have been visiting them as they have us since 1983 and we take it in turns to visit every three or four years.